Avocado growers profits have taken a hit due to quality issues among last year's smaller crop. New Zealand Avocado chief executive Jen Scoular says wet weather, early maturity and growers not always following the best practice, were contributors to the difficult season. Jen says the main avocado harvest ran from July to February, but things had wrapped up a couple of weeks early this year with yields down. She says 65-70 per cent of all avocados grown in New Zealand are exported overseas - about 80 per cent of which goes to Australia. Quality issues with some of the avocados sent across the ditch were challenging because the fruit did not show imperfections until they started to ripen, says Jen. "Everything was exported because everything looked good in the tray through the pack house. "We had to do a lot more repacking before fruit went into the retail market, particularly in Australia, and yes, that does mean there are additional costs and more fruit that doesn't get to the retail store because of quality issues." Jen says the industry needs to reflect and assess ways to avoid quality issues. She advises growers to follow their best practice guide. Bay of Plenty avocado grower John Cotterell agrees the focus needs to remain on best practice. John owns a 8.5 hectare orchard south of Katikati and says a big contributor to the quality drop, is inconsistency within the industry. "A lot of people and growers are not spraying what's recommended as best practice number of coppers per season." Copper sprays are used in many horticultural industries to protect foliage and fruit from a range of diseases. John says while he had coped well with the weather issues this season, other growers had experienced a lot of wind burn and rot amongst their crop. "I know of quite a few growers who have had a pretty terrible season, like pack-out wise and a lot of seasonal issues. You don't get two seasons that are ever the same, or it seems that way." 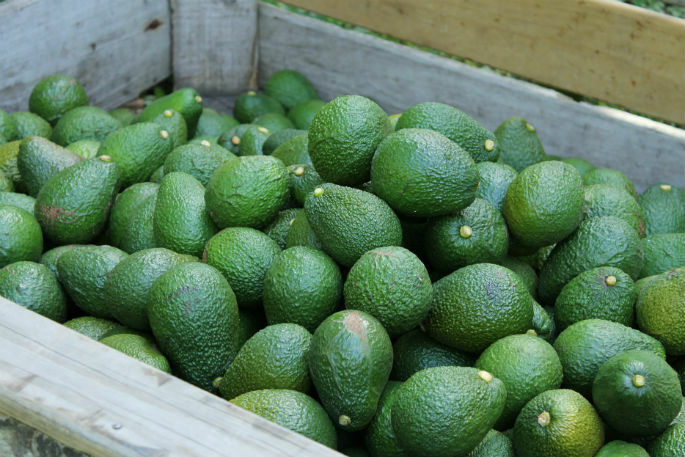 He estimates growers had lost about $10 per tray of avocados due to the poor quality. "That $10 a tray is a lot of money to lose off your bottom line, so there won't be too many, too happy growers around. Particularly after the season before, where we had record sort of pay outs."